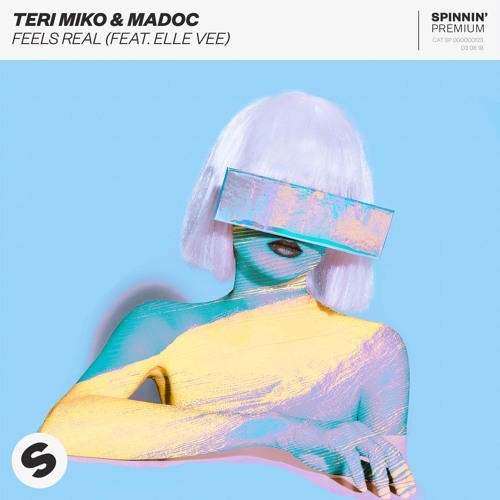 Bass Artist Teri Miko teamed up with Madoc to deliver a new pop-influenced dance gem called Feels Real, out now on Spinnin' Premium. Both artists are known for their ability to produce a vicious bassline, but on Feels Real they break new ground by delivering a more pop approach to their sound. Featuring on the song we have the lovely and silky vocals of Elle Vee which flow effortlessly over this infectious production. Feels Real is packed with organic instrumentals, a delicate and cinematic drop, and raw lyrics. The song has a tropical/summery appeal and it's perfect for those summer sunset parties. Stream it below! Super excited about this release! It’s going to be my first sort of pop release on a major label! Waited a long time for this!! Teri and I first started planning our collab almost a year ago. I totally believe in freedom of expression when it comes to collaborations so we never gave Elle any references or restrictions. I really don't know how but she felt my mood at that moment, and wrote the lyrics of the girl who is a little lost, sometimes insecure and definitely looking for a lot of answers.